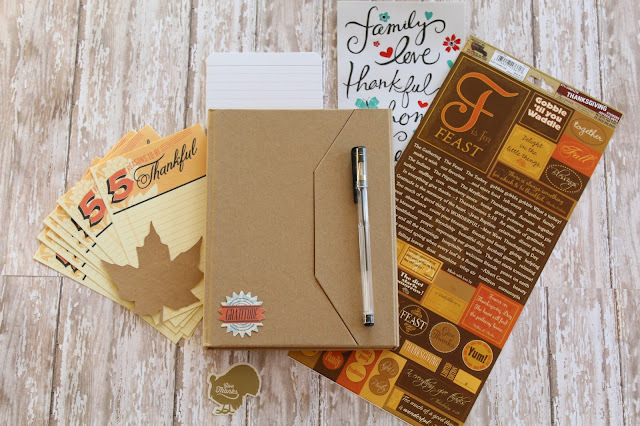 The Chic Country Girl: Fall DIY: Thanksgiving Gratitude Journal | What Are You Thankful For?!? 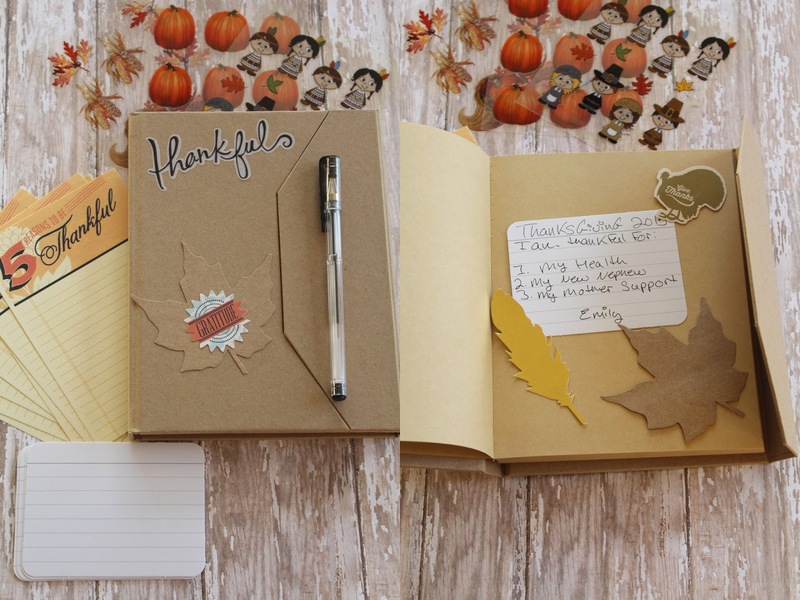 Fall DIY: Thanksgiving Gratitude Journal | What Are You Thankful For?!? With Thanksgiving just around the corner and our family having welcomed a new member this year (My Brother had his first born last month) I thought it would be nice to start a new tradition in our family. I think most everyone says what they are thankful for each year on Thanksgiving, I know our family does. 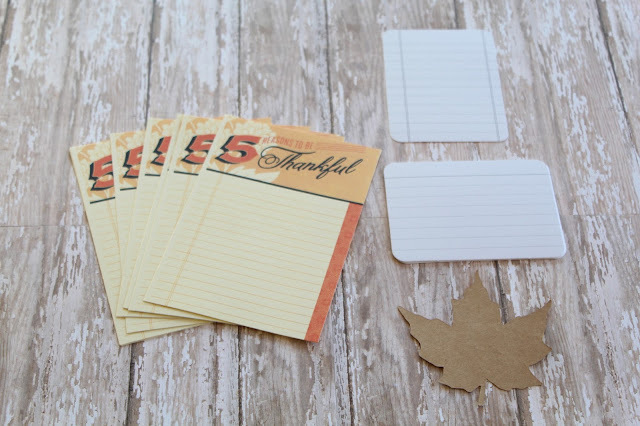 So I thought it would be nice to make a gratitude journal and have everyone in the family right down what they are Thankful for on a little piece of paper. That way we can look back at what we've written over the years. I am going to have my family right down what they are Thankful for on a card that says " 5 Reasons To Be Thankful" and then I'll have them sign there name and date it. That way we know who's is who and what year. Project life journaling cards would also work great to write on. Don't think you have to make it overly fancy, if you don't have a lot of money or time just find a cute little journal for everyone to write in. 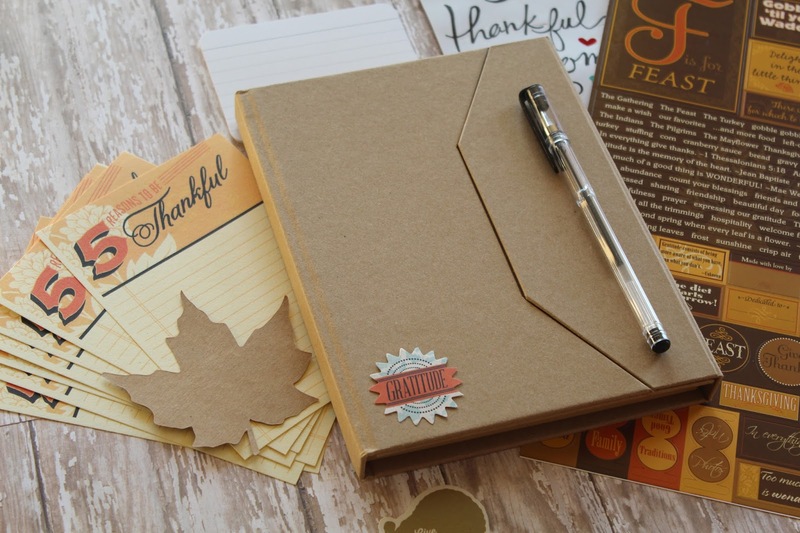 Another fun idea would be to add some of your favorite photos from the past year or maybe take some polaroid's on Thanksgiving day and stick them in the journal. You could also add quotes around the them of Thankfulness or even bible verses. I can't wait for this Thanksgiving to have my family write down what they are thankful for and have it as a keepsake. I hope you all have a fantastic Thanksgiving. And eat lots of Pumpkin pie! Disclaimer: Any photos used are mine unless otherwise posted with a * . This post was 100% created by me and photos are copyrighted to TheChicCountryGirl, If your sharing any of them please give credit to this site. This is a sweet tradition to start. My 7 year old son was interested in using a planner like mine, but he didn't really have much to write in it. So each night we write what our favorite part of the day was in our planners. I love that we can share this with one another.